This wood folding table is very useful since it can be instantly stored and is easy to carry at the same time. 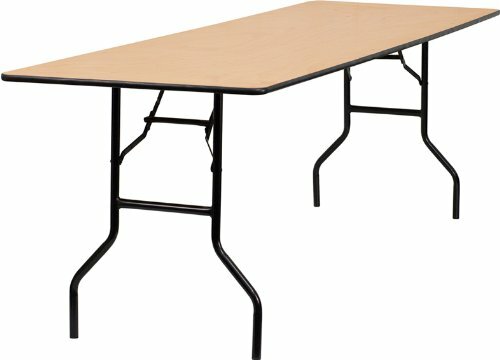 This durable table was built for constant use in hotels, banquet rooms, training rooms and seminar settings. Not only is this table durable enough for the everyday rigors of commercial use this table can be used in the home when it comes to setting up your own personal party plans.